Private family services will be held. There will be no visitation. 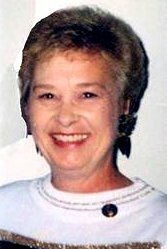 Jacquelyn F. Becker, age 72, of Elk Run Heights, died Monday, August 10, 2015, at Covenant Medical Center. She was born December 29, 1942, in Morrison, Iowa, the daughter of Verne and Faye McIntyre Lowe. Jacquelyn was united in marriage with Dwayne Verle Becker on March 2, 1962 in Waterloo. He preceded her in death on June 25, 2001. Jacquelyn worked as a telephone operator for US West and later Qwest for more than 30 years, retiring in 2000. She was a very independent person who enjoyed spending time with her friends. Jacquelyn collected horse figurines for many years and liked showing her collection at various fairs and events. She attended Heartland Vineyard Church. Survivors include two sons, Jay Becker of Evansdale and Jeff Becker of Sarasota, Florida; and three grandchildren. She was preceded in death by her parents; her husband and a son, Jon Becker.